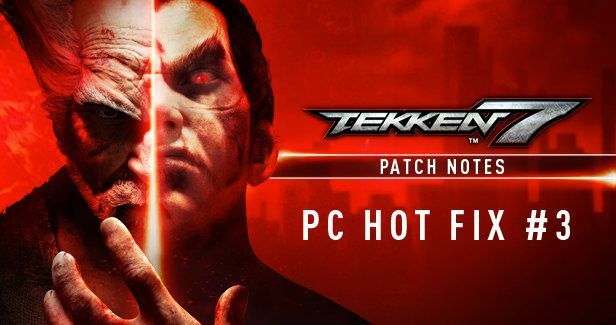 Tekken 7 Update for PC is now available for download. The update includes bug fixes and other improvements to the game. With this update, the black color for customization is now set to true black again and the issues with some character’s alternate costumes are fixed. The matchmaking timing is also improved in all online modes. Check out full changelog below. The black color for customization is now set to true black again and the issues with some character’s alternate costumes are fixed. Improved matchmaking timing in all online modes. Removed Match Lists following the improvement in matchmaking. Improved menu and navigation in Player Match. The change notably allows players to leave sessions more easily. Lifted the restriction on revenge matches in Ranked Match, to enables unlimited revenge matches. Fixed a revenge match related issue where the opponent’s name could change upon having revenge matches. Recently, the developers also released update 1.04 for PS4 and Xbox One.